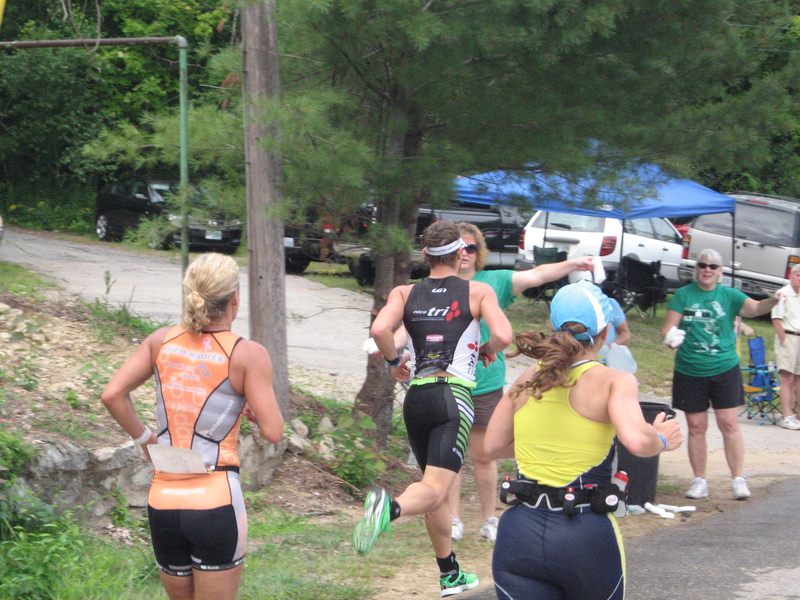 Coming into this race I felt like most triathletes do the week before an Ironman event, I felt rotten. My body was recovering from the work I did in the previous weeks..and months. My runs felt nasty and running at an endurance pace was a struggle. Not a struggle I lost, but still it was harder than you would expect when you are regularly running at a much faster pace. When I rode my bike on Tuesday my legs felt like boat anchors. I guess you could say that I was right where I should be. As the week went on things got better in the pool and on the bike, however when I ran on Friday morning (the last run before the race) it still didn’t feel “right”, but it was getting their…but in reality that’s what you want. It’s all about peaking at the right time. That’s why certain sports teams win the super bowl, or an unknown college basketball team from the middle of nowhere makes it to the Final Four. So, as I made the 400 mile odyssey to beautiful Guilford, NH I had plenty of time to think about the race. However, I did very little thinking about the race and instead listened to about 6 podcasts from Jay Mohr (Put Your Name On It!) and Adam Carolla. 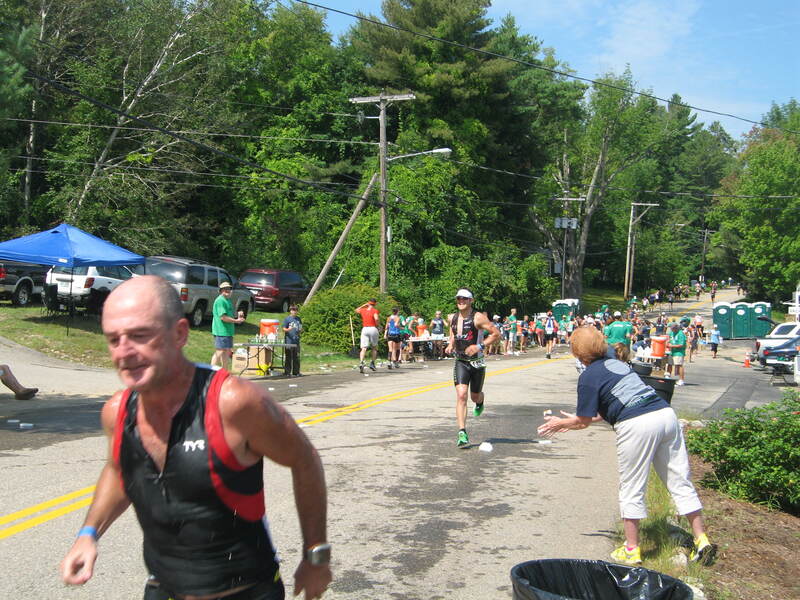 The time went by quickly and before I knew it I had made it to NH and was very pleasantly suprised to find the Greystone Inn where I was staying at was right on the run course, only 1 mile from transition. Their would be a big aid station right in front of the Inn during the race as well, this worked out great for my parents who had a great time spectating and gave me the chance to see them at 4 times up close and personal during the run. Most races aren’t that spectator friendly, so that was a definite bonus. After getting to NH I took care of registration and got settled into my room. Saturday morning I headed out for a short bike ride on the course and followed that up with a 20 minute swim. After that work was done I treated myself to a huge breakfast at a place called Kitchen Cravings (I would highly recommend this place for those in the area). For those interested I had: 3 eggs scrambled, 2 pieces of toast, some home fries (the real kind), bacon (extra crispy), and two big pancakes. Once the main meal was in me I headed back to my room and at on my but for mostly the rest of the day with the exception of taking my bike down to transition. So heading out on the run I knew that if I ran like I could that I could get my sub 4:30 time, which was my big goal for this race. 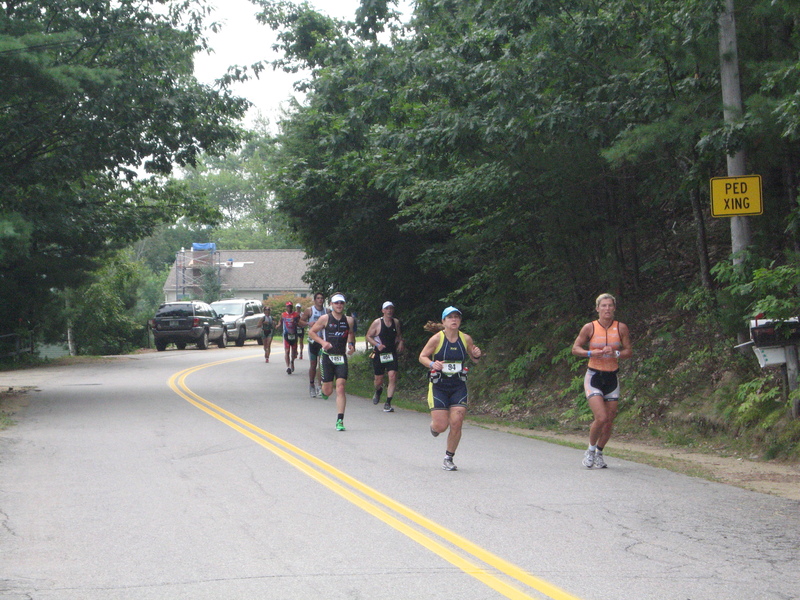 My one fatal error for this race was that I went entirely to fast over the first mile. When I started my watch the locator was not giving me a correct pace read out. So I was essentially running by feel until it could get itself straightened out with the satellites. Thus, I ended up running a sub 6 minute mile (in truth a lot below sub 6) or at least thats what the watch says. The first mile as entirely by feel, and thats what I get for not being prepared. Luckily, it didn’t hinder my run, the second mile was pretty much all on a slight incline so I backed off the gas peddle and made my way to the first turn around at around the 5k mark. The course is a two loop course, which was great in my opinion since on the second loop you knew exactly where everything was and when you could turn on the after burners to bring it home. The end result was a 1:28 run split and a 4:27 finishing time, a new PR for me at the 70.3 distance. The goal was to be below 4:30 so the day was a success. 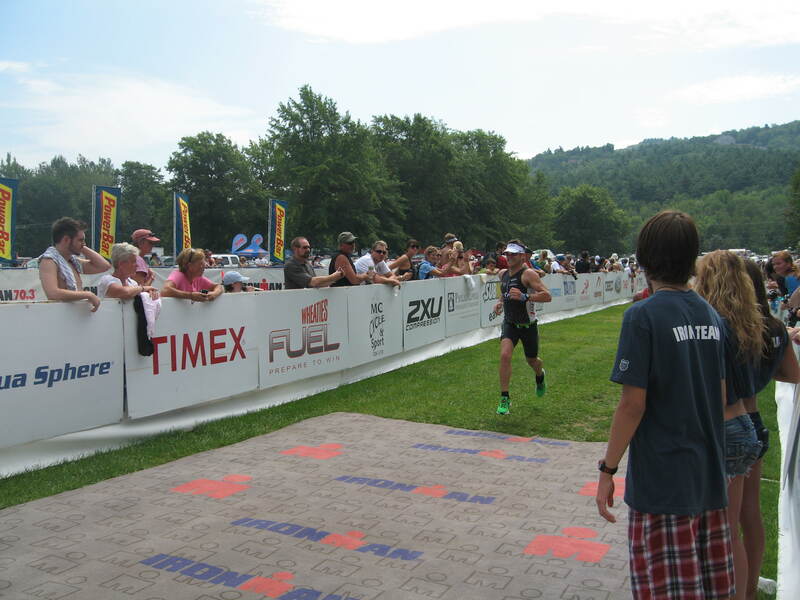 Check here for full results –> Timberman 2011 Results. Next up is IM Syracuse 70.3 and IMFL. I will take this week relatively easy and then get back into it. It’s going to be a really fun Fall with these races on the schedule. Good luck to all those training for these and all the other race’s still on the 2011 schedule. Hope to see you out their! Nice job this weekend! You are going to absolutely smash the IMFL course. im going to have to lift my game to be in the same zip code as you…..
good to see your ability come through. Nice work dude. Great execution of the plan.